Since 40% of all school-based referrals to occupational therapy are for handwriting, the Canadian Journal of Occupational Therapy published research on the effectiveness of mental imagery with repetitive handwriting practice. The participants in the study included 20 typically developing first and second graders with dysfunctional handwriting. Each student participant had decreased scores on three or more variables of the Minnesota Handwriting Assessment (MHA), a referral to occupational therapy for handwriting, and low, average or high scores on the Kids Imaging Ability Questionnaire. All 20 students participated in repetitive task practice twice a week for 4 weeks, then engaged in mental practice combined with repetitive task practice for the same duration. For evaluation, the Minnesota Handwriting Assessment was completed at baseline, after repetitive task practice, after mental practice and at follow up. During the mental practice, the students mentally rehearsed the letter with an internal imagery focus. The students were instructed to close their eyes, see each letter through their own eyes and to imagine themselves making the handwriting movement of the letter presented (all while hugging a soft toy to prevent them from actually making the movements). 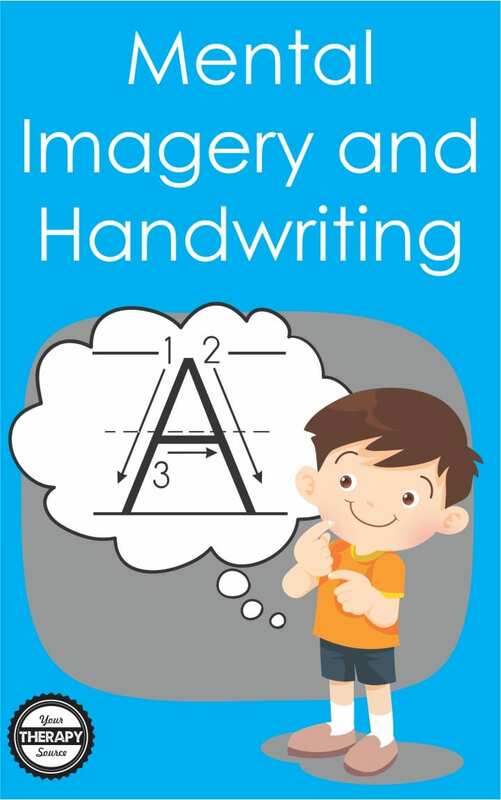 when the mental practice was combined with repetitive task practice, the children significantly improved and retained an increase on all variables (rate, legibility, form, alignment, size, and spacing) of the Minnesota Handwriting Assessment. when only repetitive task practice was performed, the only significant improvement occurred in handwriting form. The researchers concluded that cognitive intervention with physical practice improves handwriting variables. Saleem, G. T., & Gillen, G. (2019). 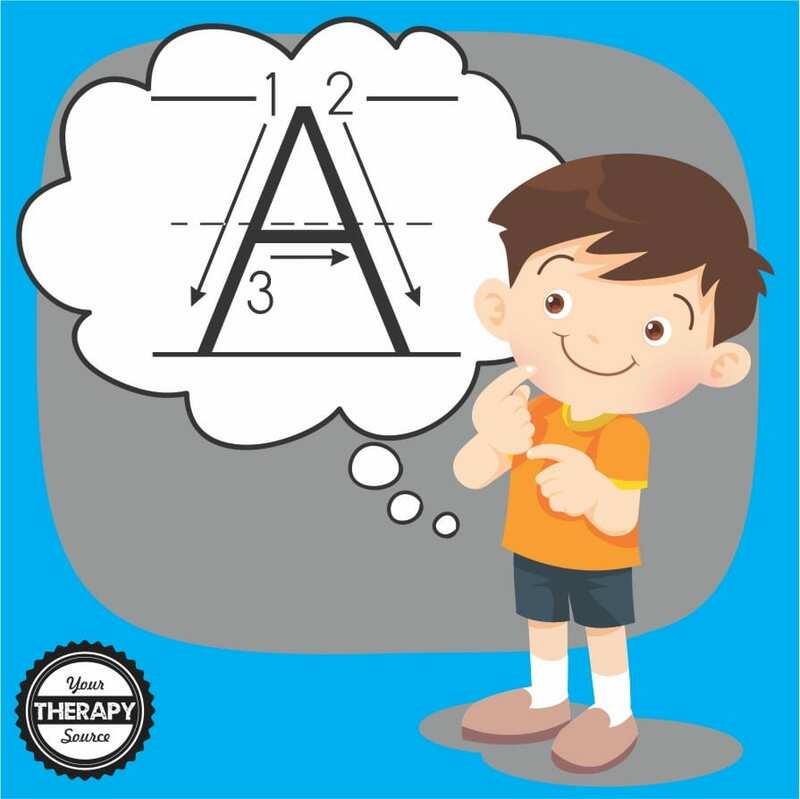 Mental practice combined with repetitive task practice to rehabilitate handwriting in children. Canadian Journal of Occupational Therapy, 0008417418824871.